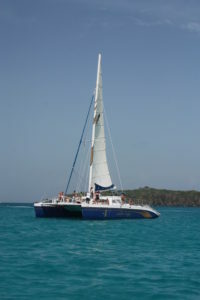 Go First Class aboard the Golden Eagle Catamaran. 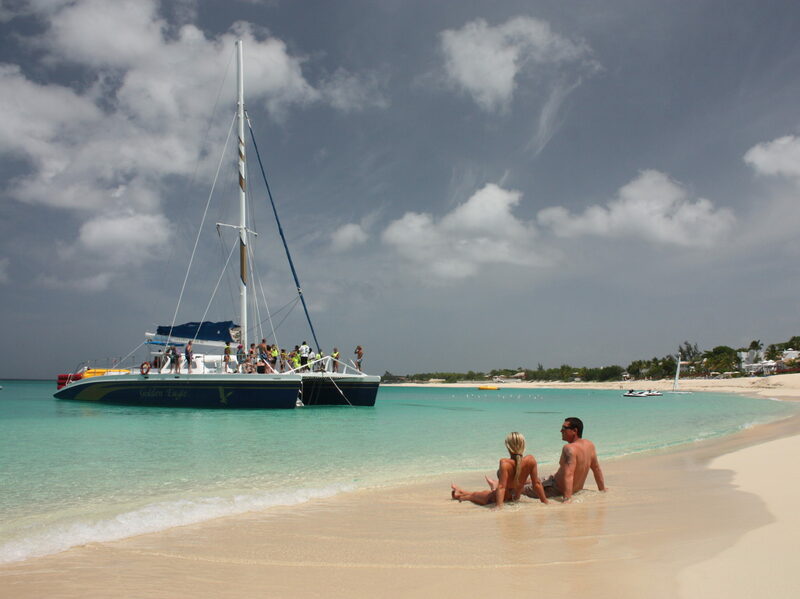 The Golden Eagle catamarans specialize in half day sail and snorkel excursions. The friendly crew will meet you as you walk the red carpet to board the custom built catamarans for a fun filled day on the water. The first stop of the day is for snorkeling. We provide all the gear you will need including snorkel vests! Next we sail down the coast and past the famous Princess Juliana Airport with a chance of seeing planes land overhead. 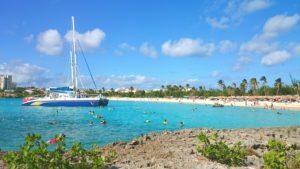 The catamaran will then anchor at the beach where you will have time to swim, relax, walk in the sand or enjoy a cool beverage. On the ride back to the cruise ship relax while the crew serves you drinks and snacks.